Today, the 8th of March is International Women’s Day. ​The United Nations first began celebrating this in 1975, and every year focuses on women’s status around the globe. The theme for 2016? “Planet 50-50 by 2030” which is super important as one of the Sustainable Development Goals is to achieve gender equality and empower all women and girls! I have a number of links to the UN and have been actively involved with UNA-UK for a number of years and so this is of great importance to me. It’s important to note that there has never been a female UN Secretary General, only 1/5 parliamentary seats are held by women and only 19 of the 196 heads of state are women. The 1 for 7 Billion campaign is helping to address this in some ways prior to Ban Ki-Moon stepping down as UN Secretary General at the end of the year. Read about when I met him here! There is a lot of progress to be made if we are to reach the ideals set out as part of the SDG’s by 2030, but I remain optimistic that we will. So, on to this – #SheInspiresMe is currently trending on my Twitter, and I knew instantly who I would mention. Some of them you will know, some of them you will not, but I hope that you will be able to see why they inspire me as a person, by the end of this post! 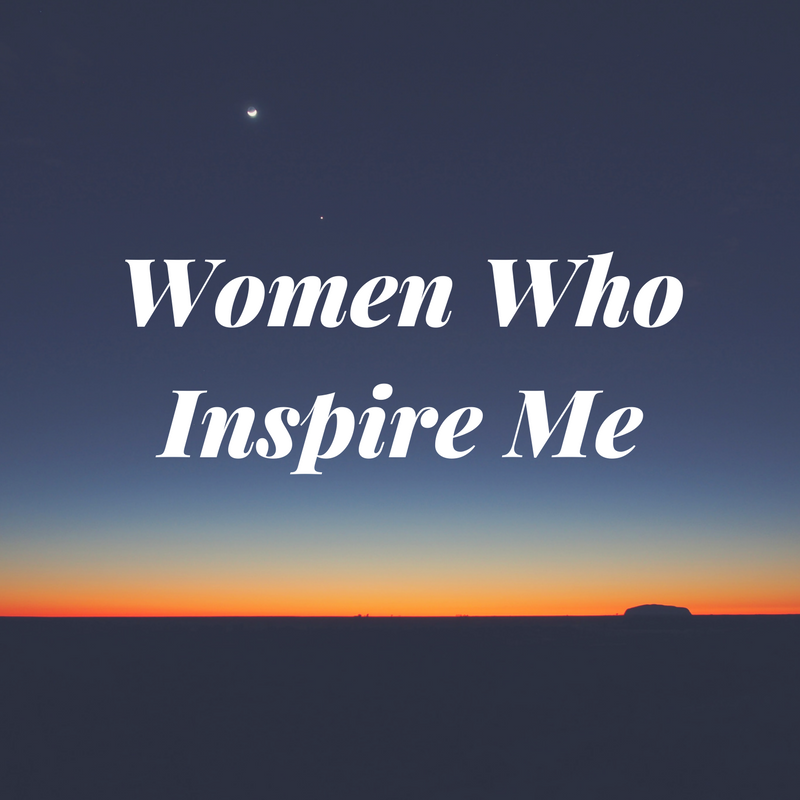 Why not tweet me with who inspires you? Yes, I love her films. 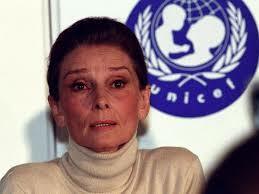 Yes, she was elegant and beautiful, but more than that, she was a humanitarian. As a ​UNICEF Goodwill Ambassador she brought, and continues posthumously, to bring awareness to a superb cause. She understood the work of the United Nations and UNICEF moreso perhaps than many other ‘celebrity‘ ambassadors, as she was among those who received food and medical help from the UN after WWII. In fact, she famously once said ‘I’ve been auditioning my whole life for this role, and I finally got it”. If that’s not inspirational, I don’t know what is. So I think it’s safe to say that Lindsey Vonn is not my inspiration in terms of career goals. My skiing extends to family holidays, and the last thing I intend to do is throw myself at 80mph down a World Cup ski run. In fact, if the Face de Bellvarde is anything to go by, I’d probably end up sliding down on my bum. Her career thus far is amazing, she has Olympic medals, 76 World Cup Wins and 126 Podiums. So why is she inspirational? Not only has she set up her own Foundation – Website here – focusing on ‘strengthening the community by giving individual attention to the empowerment of girls‘ but she has also managed to come back from a number of what seemed to be career changing injuries, and come back on top. This year saw her winning her 20th Crystal Globe. An all-time record among men or women. I follow her on social media, and even after injuring herself, she was back in training and focused on where she needed to be. ​ That focus is what makes her inspirational to me. For those who ‘can’t get to the gym‘ as they’re too tired after work (yes, I’m looking at myself here too) you just need to look at people like Vonn and realise you’re probably just being lazy and you won’t get where you want to be by slacking off. I’m not expecting many people to know who she is, but rest assured, she is brilliant. 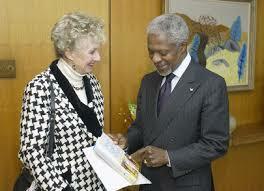 She was with the UN for about 40 years and became the first Female Under Secretary General. She was also Director General of the UN in Vienna and a Special Representative for Angola and head of UN Peacekeeping Ops there. She held a vast number of other positions as well, and didn’t let the very male dominated environment at the time affect her. Do you see where I’m going with this? ​Her book ‘Never Learn to Type: A Woman at the United Nations‘ is amazing and full of stories about her time at the UN. Some good, some bad, all very interesting and insightful. I can wholly recommend reading it. If someone asked who I looked up to in terms of a career path, it is her. ​My message to the new generation of women is: never forget that you are still pioneers! Keep up the good work and, above all, work together to strengthen the role of future women. This troubled world, and the UN, need now, more than ever, to capture the energy, ideas and insights of our half of humanity, too long ignored. ​My mum has always been an absolute star, she helped me through uni, helped me with my first home, with things when Google cannot, she ripped up and replaced my bathroom floor, helped me build Ikea furniture for my flat and moved me in. She taught me from a young age that I was capable to do whatever I wanted and always supported me and my brother, wherever in the world we wanted to go! If I wanted to head off round the world I know she’d support me in any crazy adventures! 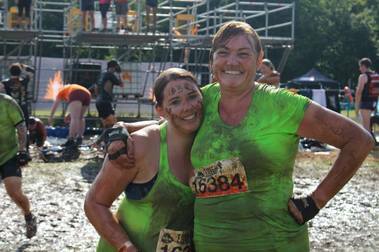 She drove all the way to Southampton when I was ill. She came along to Tough Mudder with me and we were proudly awarded our headbands, and she’s done all this alongside working full time and studying for her own degree. Without mentioning the hundreds, if not thousands of female UN Peacekeepers, of women leading in their fields, leading in their careers, women in the armed forces, women who have completed great adventures, friends who have children or are about to, friends who are single parents and women who continue to fight for our rights to be held equal, these are just a few of the women who inspire me. Let me know in the comments section who inspires you and why! sorry if that’s a bit cheesey, you inspire me every single day with your posts and your infectious outdoor enthusiasm. You’ve inspired me to get out and create a blog but to also start enjoying life after an abusive relationship and also to realise i am worth more than what others see online. People influence your life in big ways and for me thats you and challenge sophie. thank you. I remain anonymous, but follow you on social media and will continue it. love seeing your trips. Keep writing keep inspiring and keep being you.